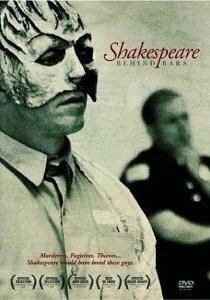 Shakespeare Behind Bars is a film that follows an all-male Shakespearean theater company composed of convicted felons. For one year, while incarcerated at Kentucky’s Luther Luckett prison, the cast rehearse and perform a full production of Shakespeare’s great last play, The Tempest. The prisoners cast themselves in roles reflecting their life experiences, including the crimes for which they were convicted. As they struggle to understand the characters they are playing, they uncover startling and moving truths about themselves. The Tempest’s underlying theme of forgiveness is at the heart of this incredible documentary. Through their creative journey, these “murderers, fugitives and thieves” reveal kindness, generosity and faith. And we are left wrestling with the notions of transformation and redemption. Special features includes prisoner commentaries.